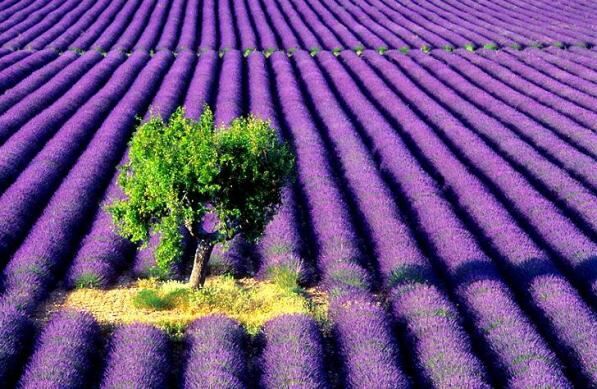 A lone tree inbetween thousands of lavender. tree alone we have got such a gorgeous picture. with no touch of beauty. beautiful one but they remain alone to serve the community. about such great persons to the upcoming generation.